I have recently blogged a comparison between the reporting approach of CNBC and Bloomberg TV. 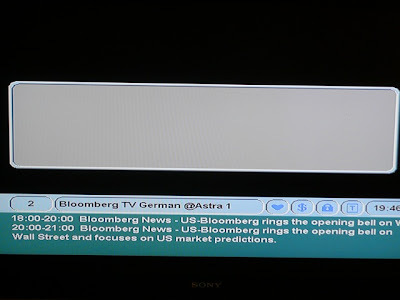 Repeating my stance that it was only fair to shut down the dead-boring German language version of Bloomberg that had as much appeal as various TV gospel preachers to me I was startled to get only a blank screen when tuning into Bloomberg's English language TV program this week. As my investment style - holding shares a minimum of 366 days to forever for tax reasons - does not require realtime prices and I can get all my information needed for free on the internet I do not subscribe to Bloomberg's a bit pricey terminal service. Unfortunately my MacBook Pro rejects my efforts to get Bloomberg TV running in a small window due to some Quicktime issues that exceed my user knowledge. Calling a friend - the Fed would call it "anecdotal evidence" - my initial panic that Bloomberg TV had entirely gone off air in Europe was confirmed. 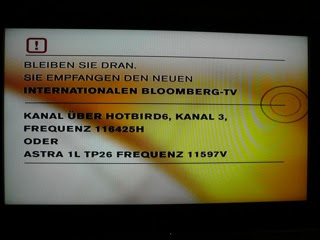 His satellite receiver drew blank screens for Bloomberg Germany, Bloomberg UK and Bloomberg Europe as mine did too. Studying my sat receiver manual I found out that I can also receive programs aired via Hotbird (Astra being the standard satellite in the German language regions of Europe.) But I came across another dead Bloomberg channel that offered at least some relief. Hotbird6, Channel 3, frequency 11597V. I have yet to consult my manual how to tune into the new channels. So far I know that I can only receive Hotbird 1-5 but not 6. 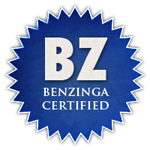 I guess I have to stay offline for the remainder of this night in order to program the new Astra frequency. An email inquiry via Bloomberg webform sent on Monday has not been answered by now. I am confident a lot of web searches on the said issue will earn me more webhits at my blog that will surpass the 700,000 mark in the next few hours. I can only hope Bloomberg international TV will not be restrained by budget cuts too. Does anybody know recent Bloomberg terminal count figures to post them in comments? Further research with my touchpad has revealed that Bloomberg runs a channel on YouTube. I have yet to check whether I will find the recent long interview with White House Economic Adviser and former effective inflation fighter at the Fed, ex-chairman Paul Volcker, which kept me awake at 3 AM a few weeks ago. I hope Bloomberg's style of telling the bare truth does not run afoul of YouTube parent Go Ogle! 's secret policies which had temporarily closed down Alex Jones' prisonplanet channel recently for exactly this reason: Painting an entirely different picture of the bankrupt police state USA than all US propaganda TV stations like CNN do (where does CNN get the funds for its global coverage? Certainly not from the ads far and few in between.) Oh, BTW, Prisonplanet TV has been reinstated at YouTube after an uproar of the worldwide critical internet community.